The Gold Rush in Mpumalanga has seen further development over the past few months. 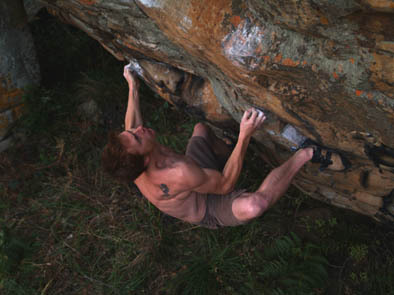 Most notable was Guy Hubbard ascent of the instant classic "Blunt Force Trauma" 7C. The 5m high problem, which is the hardest in the area, climbs a 35 degree overhanging face on slopers and crimps and features a huge dyno before the top out.